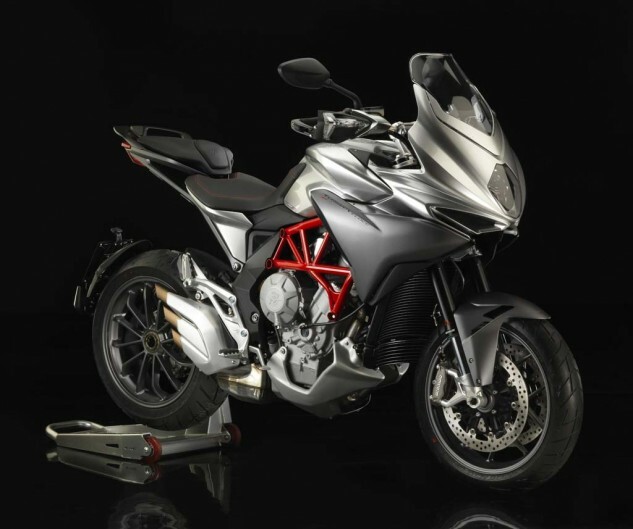 MV Agusta teased us with the Turismo Veloce in 2013, and maybe it’s the extended wait that makes us especially anxious as we head into 2015. Basically a more touring-oriented version of the Rivale, the TV has everything we love in a sport-touring rig: a sweet (798cc Triple) engine, decent wind protection, (optional) luggage capacity, and the ability to take a passenger in relative comfort. And if it handles anything like the Rivale, then it will surely be a special sport-tourer. Semi-active suspension on the Lusso version should be an especially nice touring feature, while MV Agusta’s MVICS electronics suite, which includes a quickshifter, traction control, wheelie control, and different ride modes, should up the enjoyment factor as well. U.S. pricing has yet to be revealed.